What is the diesel of your dreams? What better way to spend the last hours before Judgment Day than discussing the reliable and long lasting diesel engine and the interesting mix of car and trucks they have appeared in? This weekend we want to know what diesel powered vehicle makes you weak in the knees. What is the diesel of your dreams? Diesel powered cars and trucks have never really caught on with the American public. They were dismissed as loud, smelly and expensive before most American car buyers could discover the positive attributes that come with diesel power. This weekend we want to celebrate diesels in all of their torquey, turbo-charged, loud and (sometimes) smoky glory. We want to know what diesel powered vehicle you dream of owning. For me there can be only one dream diesel, the Mercedes Benz produced Unimog. Although they were available in a gas powered configuration in their later years, the Unimog was best known as an indestructible diesel. Originally intended for military and commercial applications, I can't think of any diesel powered vehicle I would rather put to purely civilian use than the Unimog. 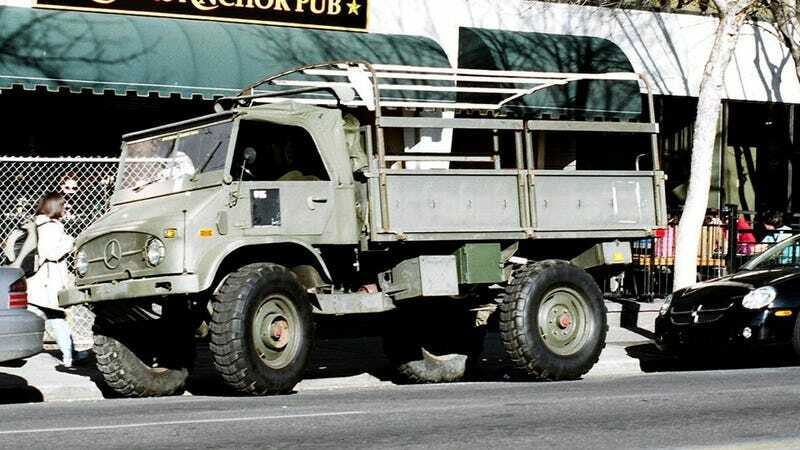 Whether cruising the beaches of the cape that rust remembered or, if need be, navigating the post Judgment day world in vintage diesel style I can't of a more lust worthy diesel powered vehicle than the Unimog. Now that I've told you about the vintage diesel Unimog I lust after, tell me what is the diesel of your dreams?